Richard Matheson, the writer of such iconic stories as I Am Legend and The Incredible Shrinking Man is being inducted into the Science Fiction Hall of Fame this weekend. Richard Matheson is among the most prolific and quietly recognizable authors of science fiction short stories, novels and screenplays. His first short story, "Born of Man and Woman," was published in The Magazine of Fantasy and Science Fiction in 1950. Although written as a simple tale of terror, the tale was lauded as a great work of science fiction, earning Matheson immediate fame. Matheson transitioned to TV and film writing in the late 1960s, adapting a number of his stories and novels for the screen. Among his most notable film adaptations are hisfirst novel I Am Legend (1954; filmed originally as The Omega Man , 1971), and The Shrinking Man (1956; filmed as The Incredible Shrinking Man, 1957) for which he earned a Hugo award. Matheson's publications and film work often explore themes of human existence facing alternate reality and incorporate the paranormal, terror, survival and ardor. The total list of inductees this year are Octavia E. Butler, Richard Matheson, Douglas Trumbull and Roger Zelazny. They join such illustrious writers as Isaac Asimov, Ray Bradbury and Edgar Rice Burroughs. 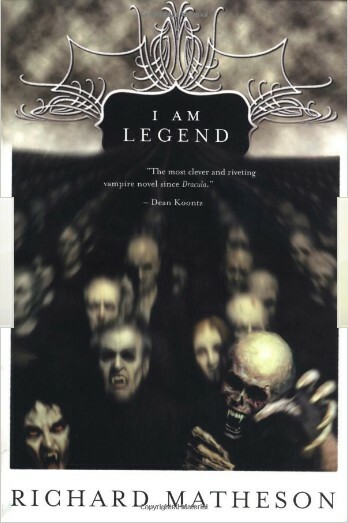 The guy is an amazing writer and, if you think you know I Am Legend you owe it to yourself to read the original novel . It's mind-blowing in its scientific explanation of vampirism and sense of isolation. What do you think about Richard Matheson being in the Science Fiction Hall of Fame?